Here's American antique full size sedan produced by DeSoto. It's a DeSoto Custom Sportsman built in 1950 on 2 Door Hardtop. 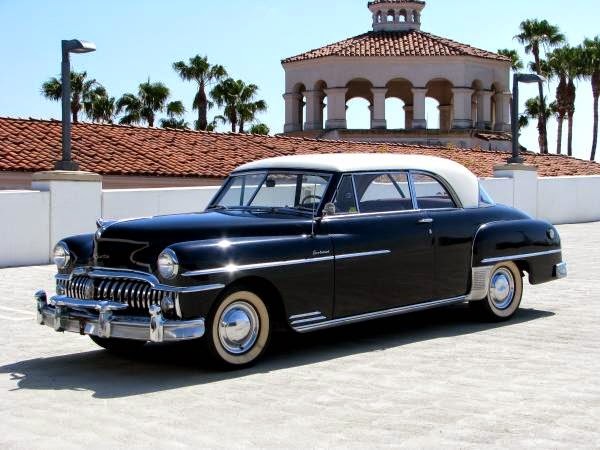 This is a very nice original DeSoto Custom Sportsman and it runs great! It was a Utah car that has been part of a large Auto collection in Southern California over the last 9 years. The car looks as good as it does in the listing photos that were just taken this week.The previous owner stated that the miles were correct and the condition of the original parts on this car leads us to believe that it does have only 34,240 miles.